Serving in the military creates a strong work ethic, strong sense of community, teaches service members how to operate successfully as a team, and equips individuals with highly technical skill sets. Then, one might rightfully ask, why is it so hard for veterans to find steady, good paying jobs? The fact is that nine percent, or one in 11, veterans who served in Iraq or Afghanistan are currently unemployed, as reported by USA Today. Since September 2001, roughly 2.8 million Americans have served in the military, with 200,000 now currently unemployed. And, the closer to the front line that they served, the higher the unemployment rate, as infantry and those who fought have the highest rates of unemployment. To give a comparison, the country’s unemployment rate as a whole is 4.6 to 4.7 percent, roughly half of the unemployment rate of Iraq and Afghanistan veterans. One of the largest obstacles that veterans have to overcome back in civilian life, in order to secure employment, is to translate the skills they developed in the military into skills that can be used working for a business. Many of the skills attained and knowledge acquired in military life does not apply directly to the private sector. Additionally, there are numerous hold ups, such as within the trucking industry, that create hurdles for veterans to get work in civilian positions for which they already have the training, according to CCJ Digital News. Additional training is expensive and can seem incredibly unnecessary, especially when the level of skill needed to perform that particular job was much higher in Iraq or Afghanistan than in New York. However, there is hope in the form of vocational training. 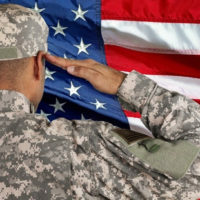 Independent living services for veterans who cannot work because of their severe disabilities. If you are interested in learning more about the Vocational Rehabilitation and Employment Program, or wish to apply immediately for benefits, we strongly urge you to discuss your options with an attorney. Contact the Law Office of Michael Lawrence Varon in White Plains for immediate assistance, as procuring these services is not always easy or possible without experienced legal help.